Every leather sofa set requires close inspection and suitable cleaning which should be carried out by certified staff. 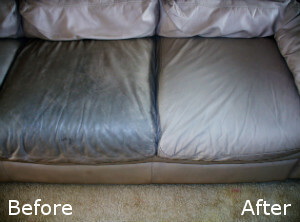 If you need professional cleaning of the leather sofas in your property user our services. We offer on-site dry and foam cleaning, stain removal and colour restoration. The cleaning will be carried out in line with the manufacturer’s recommendation for maintenance with suitable preparations. Get in touch to book the leather cleaning we provide in Brockley SE4 at affordable rates. You will be pleased with the results of our staff’s work. We guarantee you restored and well sanitised leather sofas. Our staff apply different methods for sanitising finished and unfinished leather sofas. They wipe the dust, remove the stains after which apply dry solvent or foam detergent on the leather depending on its type. This can take around two hours, after which the sofa is polished and deodorised. Our cleaning staff use suitable solvents, detergents and solutions for polishing and sanitising sofas, removing blemishes from them as well as restoring their original colours. Use our inexpensive and efficient leather cleaning services, available in Brockley seven days in the week. It is not recommended to attempt to sanitise your leather sofas using store bought or DIY products because this will damage their fabric. If you use our effective services that include dry and foam cleaning of leather, stain removal and colour restoration, the results will be very professional. Our cleaners check the type and condition of every leather sofa and use the proper types of detergents and solutions to wipe, polish and sanitise them. 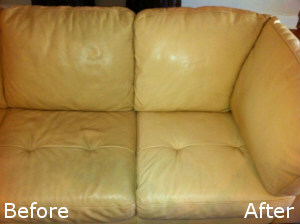 Rely on our staff to carry out the cleaning of your leather sofas and the results will be excellent. We offer sanitising of semi aniline, aniline, pigmented, top coat, bi-cast and many other types of leather. Our company is located in Brockley where we provide our exceptional leather cleaning services.